Gallery / Saga Press, 9781481481472, 384pp. “As a book-loving girl myself, I’ve worried for years over the treatment and fate of Lizzy Bennet’s sister Mary in Pride and Prejudice. Finally! Along comes John Kessel to give her this splendid book of her own, her own quick mind and her own stout heart. Mary’s adventure occurs in just that place where Austen meets Shelley and, in the end, more will be required of her than of any Austen heroine before her. Dark and gripping and tense and beautiful." 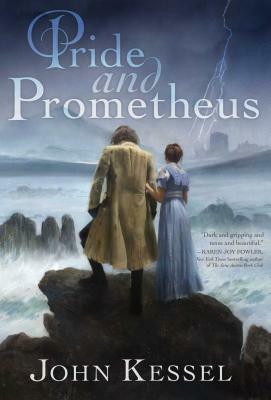 "Pride and Prometheus is not just a single joke repeated for 200 pages, as 2009’s Pride and Prejudice and Zombies was. It’s a carefully thought-out crossover that shines with affection for both its sources, one that never goes for the cheap joke when it can go for the gut punch." "For readers who enjoy new takes on classic stories—and don’t mind a few gothic elements thrown into the mix—this novel offers a surprisingly nuanced interpretation of characters readers may have nearly ­forgotten." "A nicely elaborated dance of viewpoints, of sensibilities, of ironies, and of genre conventions and tropes." "Kessel sets his readers’ expectations and then twists them as far as he can go—and then just a little bit further."